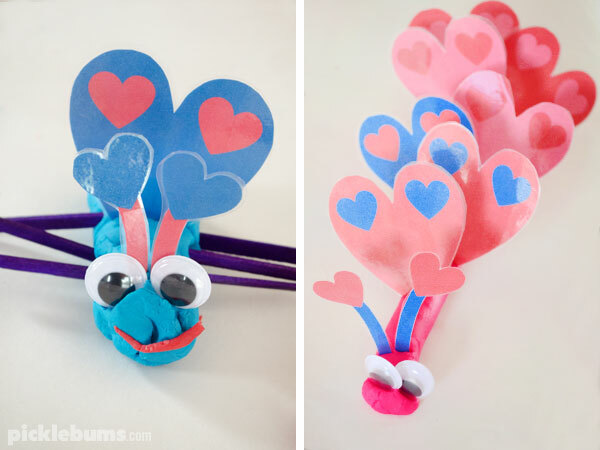 Love Bug Play Dough – Free Printable. 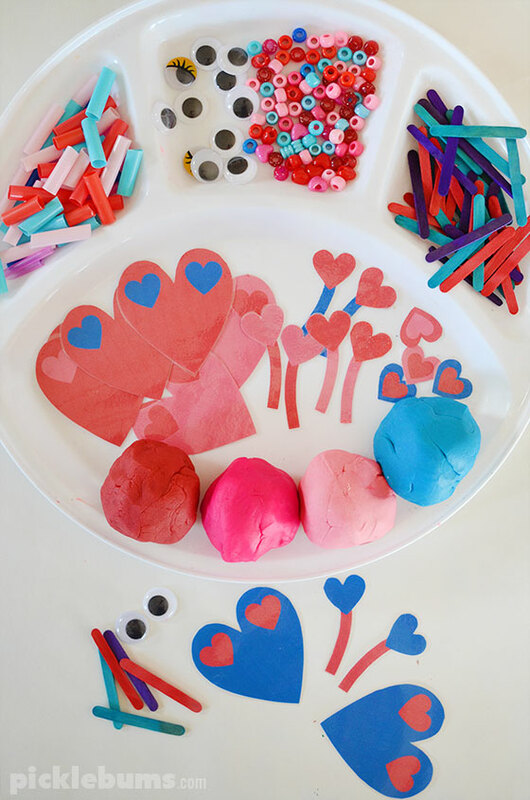 What better way to celebrate our continued loved of play dough than by making play dough love bugs! I collected up some fun loose parts and accessories to make this love bug play dough set up for my play dough obsessed kids. I was looking for items that could be used as legs, antennae, facial features, and just fun decorations. You could also use plastic gems, pipe cleaners, toothpicks, natural materials, buttons, or any other interesting items you have on hand. I also made some love bug play dough accessories. 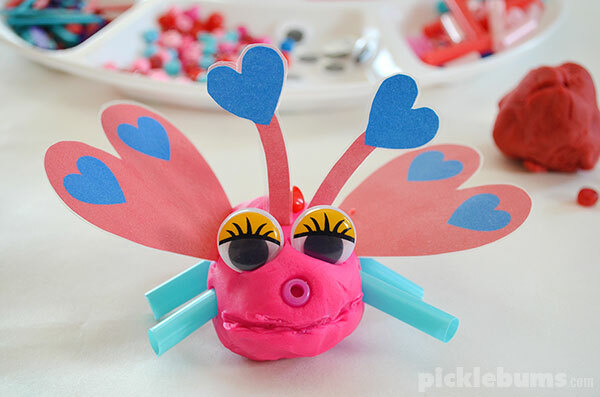 I made some heart antennae, heart shaped wings, and a few extra hearts just for fun and we printed and laminated them and added them to our love bug play dough. 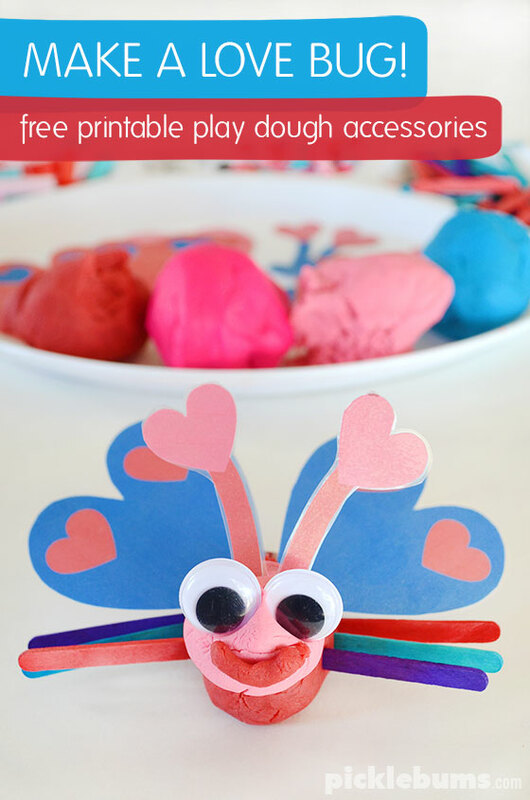 We grabbed some brightly coloured play dough and had lots of fun making all kinds of funny love bugs! This printable is an A4 sized pdf file, you will need a pdf reader such as adobe acrobat to open it. 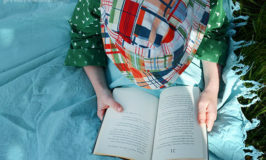 If you are printing on US ‘letter sized’ paper be sure to select ‘fit’ or ‘shrink to fit’ from your printer options. 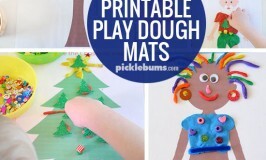 Do your kids love play dough? What is their favourite thing to add to a play dough set up? Oh my gosh, my girls are going to absolutely LOVE these. Thanks Kate. So cute. 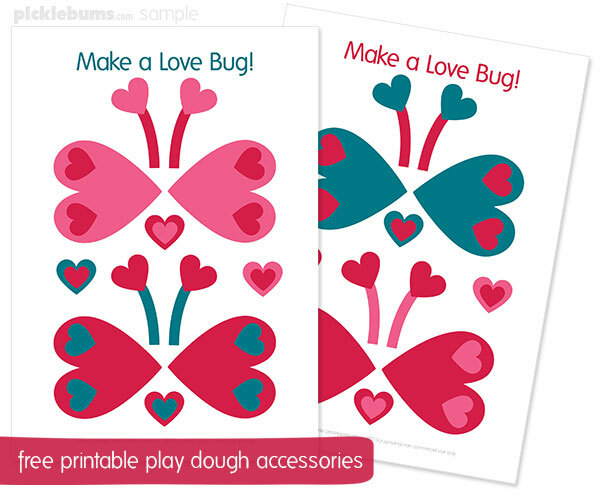 Home » Love Bug Play Dough – Free Printable.